The Venice modern corner bathroom suite, great for those looking to save space, or looking to fill an awkwardly shaped bathroom. 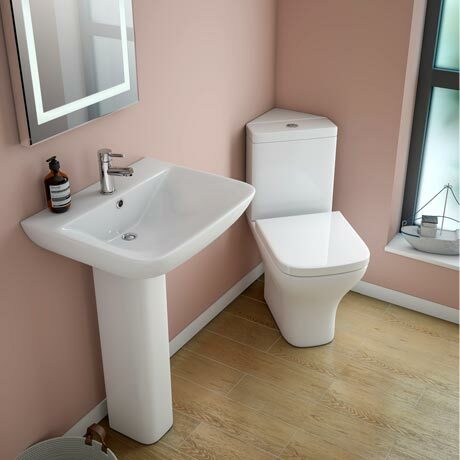 This stylish modern corner toilet and short projection basin, makes the most of limited space and looks stylish whilst doing so. Transform your bathroom with one of our modern designer bathroom suite.